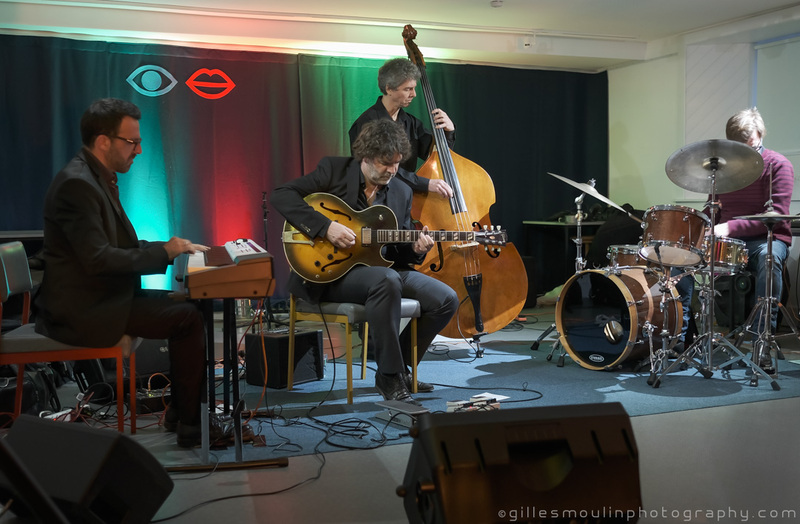 bebop spoken here: The Filip Verneert and Enrique Simon Quartet @ the Eyemouth Hippodrome - April 10. The Filip Verneert and Enrique Simon Quartet @ the Eyemouth Hippodrome - April 10. 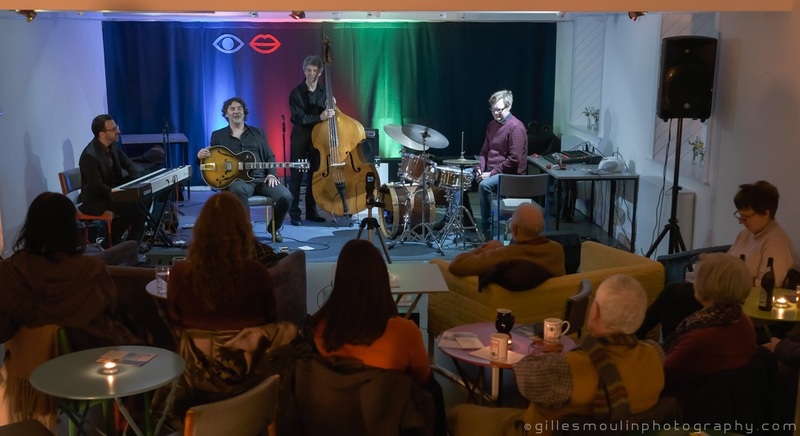 What a stroke of luck for the Eyemouth Hippodrome audience that Belgian Filip Verneert (guitar/composer), Spaniard Enrique Simon (piano/composer), French Gil Lachenal (bass) and Belgian Frederik Van den Berghe (drums) chose to begin their first Scottish tour just north of the border. Filip and Enrique have been performing as a duo for four years and more recently as a quartet with Gil and Frederik. Their sometimes light-hearted, sometimes deeply moving explanations of the inspirations behind their compositions enriched an engaging, melodic and often surprising journey of jazz through Spain, Belgium, France, Italy, America, Japan and the Eden of Garden with each piece clearly evoking the sentiment and varied atmospheres that inspired them. Enrique’s Another Night, of composing by candlelight through the wee small hours, Filip’s October, inspired by his admiration for James Taylor and Another Wednesday, of the long-standing weekly jam sessions in Ghent. Finely crafted compositions began and returned to sections played with an accuracy and precision that belied their complexity, and always included the space to allow the incredible talent of each musician to delight their audience. A clear purpose of pianist, guitarist, bassist and drummer was to inspire and be inspired and to give and take in equal measure. The warmth, generosity and talent of each of these remarkably gifted musicians, both towards each other and their audience made this a captivating and exciting concert. Setlist: El Labirinto, Meeting Patricia (title track from their current CD), Lucentum (the Roman name of Enrique’s hometown Alicante and the title track of their forthcoming CD) , October Night, I Giorni, Eden of Garden, Another Night, Japan, Another Wednesday, Every Little Thing, 100 Miles.